Trade Minister Tim Groser's direct warning to anti-globalists - "the world ain't going to stop to let us get off" - sailed over the heads of news media last week. It probably also sailed over the heads of Labour Party reactionaries (the real target of his message) and CTU president Helen Kelly, who is an avowed opponent of the Trans Pacific Partnership for reasons as much about political utu as protecting the rights of unionists. But the message wasn't missed by Labour's trade spokesman, Phil Goff, who is preparing himself for an expected showdown on the TPP at the Labour Party conference starting on November 1. Groser and Goff basically sing from the same hymn sheet when it comes to global trade and what's necessary to expand and preserve New Zealand's commercial and sovereign interests in this fast-globalising world. It's ironic that Groser used his opening address to the China Business Summit to send a few well-aimed barbs at those wanting to stymie the successful conclusion of the TPP - a free trade agreement linking the Asia-Pacific nations of Australia, Brunei, Chile, Canada, Japan, Malaysia, Mexico, New Zealand, Peru, Singapore, the United States and Vietnam. Groser painted the big picture of the era of "hyperglobalisation" now under way - "a world of unparalleled choice and opportunity including the mobility no longer just of capital but of labour and above all ideas". Said Groser: "Transport and information costs have come rattling down, leading to the extraordinary slicing and dicing of the global value chain and we need to be part of that or get left behind." He contends - and Goff would agree - that few countries have as much to gain from this new era as ours. But we still need to make the right choices. Groser played a supportive role to Goff when the latter was Trade Minister and focused on forging new bilateral and regional trade agreements such as the ground-breaking deal with China and the Asean deal that New Zealand and Australia jointly negotiated. The success of the China deal speaks for itself: exports have tripled since 2008 - the year the FTA went into effect; China is New Zealand's largest export market; it's not just about dairy - value-added exports are up by 35 per cent; two-way investment is growing and the objective set by Prime Minister John Key and former Premier Wen Jiabao of $20 billion two-way trade by 2015 is on track. 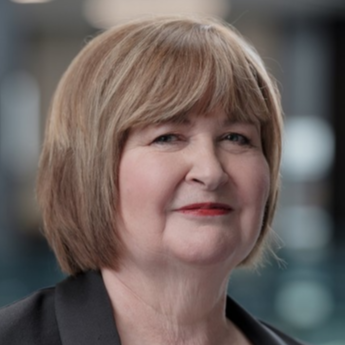 The key question is whether Labour will stay on song with the bilateral positioning that has assured New Zealand extraordinary clout in the international trade negotiations theatre, far outweighing our relative size. In the past couple of weeks there has been speculation that the Labour Party's trade union wing and some of its more left-leaning members might use the TPP as a political wedge against the National-led Government by sending a message of "don't expect us to play ball over TPP". The agreement is down to be debated during policy remit discussion at the party conference in Christchurch. This means a particularly uneasy time for Goff, who was recently appointed Labour's trade spokesman by his leader, David Cunliffe, who has previously expressed reservations about the lack of transparency over the negotiations. The former Labour Trade Minister is clearly pro-TPP, which he is adamant will bring a huge benefit as doors open wider for New Zealand exporters and service providers to some of the Asia-Pacific's fastest-growing and largest markets. But Goff is also of the belief that the plurilateral nature of the negotiations means that many of the red-line issues - Pharmac, intellectual property, sovereign dispute settlement mechanisms - are being negotiated in an environment where New Zealand's negotiating position is strengthened because some of the other countries share similar concerns. Goff was in the box seat when Helen Clark's Labour Government signed the China-New Zealand free trade agreement. He later successfully negotiated with former Republican-appointed US Trade Representative Susan Schwab for the United States to join the TPP negotiations. The incoming Obama Government put the talks on ice, but ultimately announced it would progress with the TPP under the guise of "an agreement for the 21st century" - essentially an agreement that not only provides for the phasing-out of tariffs and removal of quota restrictions (over time), but also sets standards for the economic integration process already well under way in the Asia-Pacific. Goff is not necessarily confident he will win the debate during remit discussions. But he believes there will be enough wriggle room for Labour's parliamentary wing to reach a mature position when the text is released if all 12 negotiating nations reach a final agreement. What informs Goff's position is his experience in negotiating positive deals for New Zealand and the informal talks he has had with the nation's chief TPP negotiator, David Walker. Groser's point is that the political debate behind TPP is not much different to that which occurred when the previous Labour Government negotiated the China free trade agreement - "bar the extreme anti-trade, anti-globalisation left which will never go away". He contends - and only Neanderthals would dispute this - that the TPP is just as big an opportunity for New Zealand and possibly bigger. Groser is correct to say also that China is becoming increasingly positive towards the TPP. At the recent Bali Apec, Chinese President Xi Jinping suggested the essential building blocks of a new Asia-Pacific trade zone were under way. Clearly the TPP is part of that. The big issue is whether New Zealand Labour retains its own progressive approach to international trade. Says Groser: "Provided TPP is high quality and accommodates essential NZ red lines ... NZ must be part of TPP. "To stay outside would be a historical mistake of immense strategic significance - a bit like, to be frank, the UK missing the boat completely in the early formation of the then EEC and then some 15 years later seeking to join with no influence on its direction in the intervening period." I am sure if Goff was still Labour's Trade Minister the words would be remarkably similar. Disclosure: Fran O'Sullivan is co-chairman of the China Business Summit.